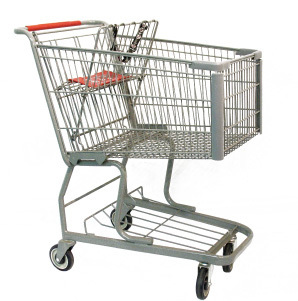 Metal carts feature a durable Granite coating. 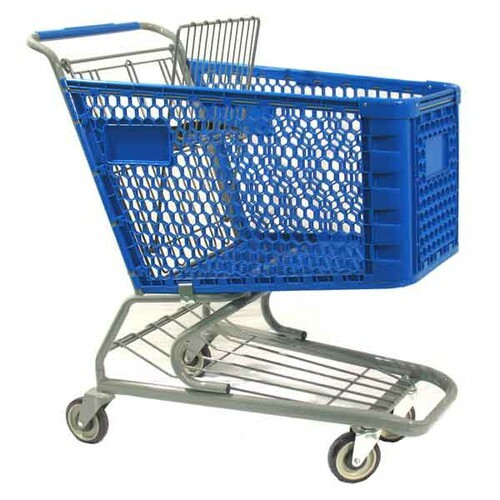 Heavy Duty 2-Tier Plastic Carts are available in attractive colors; Dark Green, Gray, and Royal Blue. 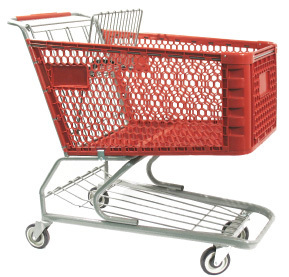 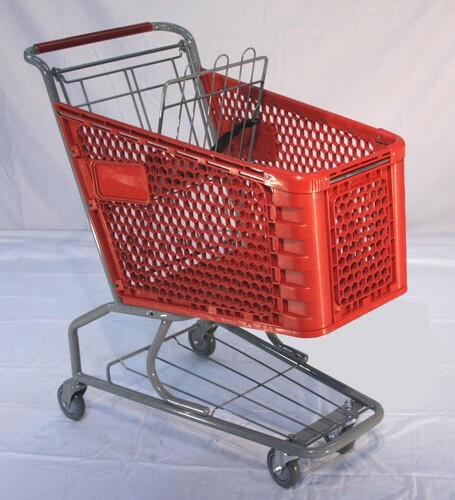 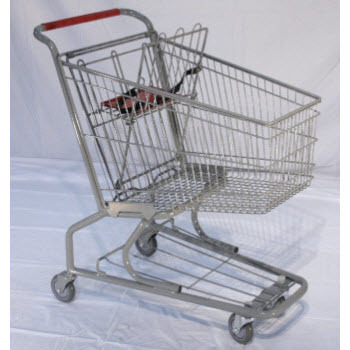 Metal 2-Tier Shopping Carts are also available with a lower tray (item #KNM085GT).